We research technical solutions that can meet the customer’s needs in the laboratory, pilot plant and production. We offer the high precision laboratory and process instruments with control and regulation for analysis of chemical and physical properties. We provide application support through communication with customers and help them to develop analytical methods and testing procedures. We educate users and introduce the instruments into safe and efficient work. Our company provides regularly maintenance, repairs and checking of installed equipment. Our employees participate in professional trainings and follow the novelties in the profession, all in order to offer adequate training to our clients, maintenance and service of instruments during warranty period or by contract during lifetime of instruments. The company Primalab d.o.o. with a headquarter in Polzela, Slovenia, was established on June 1st, 2006 by Mrs. Mojca Divjak Gulin and Mr. Simon Uršič. Primalab d.o.o. 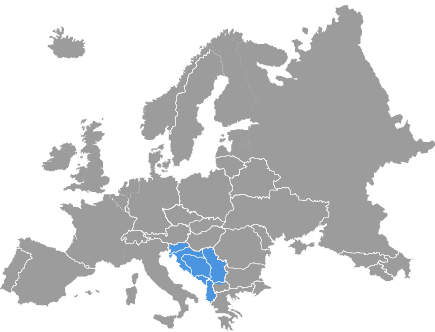 is from January 1st, 2010 the distributor of the company Metrohm AG, Herisau on the whole market of the former Yugoslavia (except Macedonia) and Albania. We are now authorised representative and in charge for selling, supporting, enforcing warranty claims and servicing Metrohm products. We are available for any advice and support, customers would need for the efficient use of instruments. Our program and activities are often transformed into solutions on the pilot and industrial level. The employees of the company have regular trainings and work in an environment where teamwork is a response to the increased customer demands even in the most difficult market conditions. We personally assure you that we are determined to do everything that you remain a satisfied and loyal customer of Primalab, a member of the Metrohm Group and a supplier of equipment and services from the program that is presented on our website, and in a dialogue with you, current and future partners. Long name PRIMALAB, podjetje za prodajo laboratorijske in procesne opreme, svetovanje, izobraževanje tehnično preizkušanje in analiziranje, d.o.o. Bank account 022800254400761 - open at SKB d.d.